Posted December 8th, 2011 by Karl & filed under Technology. It’s the bane of all good and ernest website developers everywhere, “I want my website compatible with Internet Explorer 6.” Perhaps we should shed some light on the situation as to why this is such a crux for our developers. 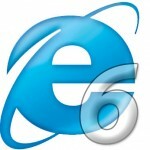 Internet Explorer 6 is now 10 years old. Not even Microsoft want you using their archaic browser. Perhaps to best illustrate the ills of trying to work with something 10 years old, we should show you other devices which are now also, 10 years old. 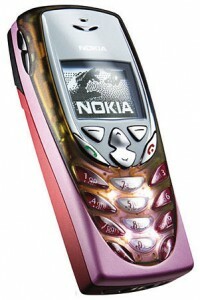 A beautiful phone no doubt, for 2001; the Nokia 8310 was the premium phone of it’s time. It’s a little eerie looking back at the old Nokia devices, which were once the kingmaker of all mobile phones. I don’t think anyone back then could have envisaged the current struggle and decline Nokia are facing; but then perhaps nobody could have foreseen the advancements made in the sector. Irrespective of this, imagine this scenario. You’re an app developer, but you don’t mind for which platform you’re asked to work for. Be it Windows phone, Android, Apple or even for Nokia. Your client has asked you to create an app for them, and they want it to work on all platforms, including the Nokia 8310. Now, on the face of it, this might seem stupid to make such a comparison. In 2001 there were no apps as we know them today and they certainly weren’t on the Nokia 8310… but then, that is actually half the point of why developers go crazy at the thought of programming for Internet Explorer 6. It has many out-dated facets that are just an impossibility to code for. “Floppy what?” I hear some of you younger ones say. “A floppy disk”, I retort. 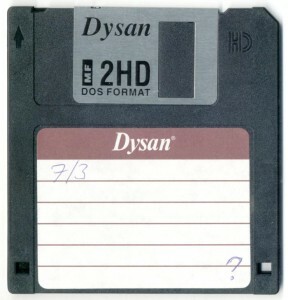 A floppy disk was a 3 1/2 inch disk that was used in the same way as a DVD or CD is used these days, with the exception that they are much, much smaller storage space wise. 1.44MB was the standard, in fact. Imagine trying to use one of these to transfer data from one computer to another now. It might, in fact, be interesting to see how long it would take to transfer say, a 2GB file across using one of these old floppy disks. I’d wager you would be there for a good few days, at least. To put it another way, you would need at least 1,389 floppy disks to contain all the data. NVidia GeForce 3 based graphics card. Things certainly have moved on in heaps and bounds in the last ten years. An AMD processor out-performing an Intel processor, whatever next. That being said, I do have a 60GB disk in my PC. It does happen to be solid state, however. Almost unrecognisable from their current branding look. I bet those mice had only one click function. In 2001, the cost of a pint of Draught Lager was around £2. In most places, I find myself now paying around £3 for a pint. £2.80 if I’m lucky. In 2001, 50% of America was online. That is now up to 77.3% as of 2010, of which 83 million are Broadband users. 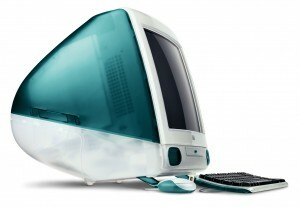 In 2001, Mac’s still had the coloured logo. For some, they still do. In 2001, the first Harry Potter movie was released. Yes it really was that long ago. The Lord of the Rings: The Fellowship of the Ring was also released this year. In 2001, top-end digital cameras had between 2 and 5 megapixel camera. Today, we get these on our phones. Nokia’s new phone, the N8, has a 12 megapixel camera. In 2011, the Chicken and Mushroom Pot Noodle tastes and looks almost identical to how it was back in 2001. Some things will never change.